A renowned hospitality company of America, Marriot International Inc., has its properties in more than seventy-four territories and countries across the world. J. Willard initiated the company in the year 1927. There are over five hundred hotels of the chain throughout the world and presently, Arne Sorenson is heading it. The company has an endearing portfolio of hotel industry and even lodging facilities. They are an iconic flagship and brand, which is designed for the people who make most through traveling to various places. In the year 2012, Guinness World Records have declared hotel of JW Marriot Marquis in Dubai (under the company chain) as the tallest hotel of the world. There are currently 3 consumer reviews about Marriott available. Share your review. Here's my story: My son's baseball team booked rooms for a baseball tournament the weekend of August 24, 2013. I contracted the hotel directly, The Courtyard at 1972 Raymond Diehl Rd, Tallahassee, FL 32308, 805-422-0600, to double check the availability of having a roll-away for the room my son, another player and myself were getting. The gentleman on the phone said yes, there was no problem, we have plenty, especially since our second floor is under construction. I asked if there was a free breakfast or was there an upcharge, I gave him our reservation number as well, and he check it and said it was included with our room charge. When we arrived, we were told very politely and firmly there were not roll-away beds and we must have called the wrong Courtyard. I explained who I spoke with, and was still given the same answer. I then asked about the free breakfast, the young lady advised me that NO there was not a free breakfast, unless I wanted to pay an additional $49. Since I was chaperoning I contacted the other 2 parents, both of the parents I spoke with had also made calls to the Courtyard to confirm the roll-away and the free breakfast. This was done since we all knew of the poor experience that had occurred at another Courtyard in Florida in early June with the baseball team. The only suggestion the lady at the front desk had was to have one of the boys sleep on the floor, she did not even offer extra blankets until I asked about them! She was reluctant to even give them to me. I decided it was not fair to either of the ballplayers who are all 17 or 18 years old to have to share a double bed, even though we had been told they were queen's. So I purchased another room. the lady generously gave me the "team rate" of $99, it was also the weekend construction rate, the AARP rate, and the Rewards Member rate. Some rate!!!!!!! This is my 3rd website getting the word out about the dishonesty of the Courtyards. I am hope to post this same information on at least 30 more web sites. I have not been as frustrated as I am at this moment. I have been on a customer service call to add a promo code to my reservation of 2 rooms for 2 nights coming up. After 38 minutes and 6 transfers, NOBODY could help me. "Ryan- customer service manager" said that he was the TOP of the ladder. I highly doubt that and wish strongly that I had not even chosen Marriott now. I am extremely disappointed and will tell everyone that I know (I work in a HUGE medical facility and travel often professionally- although this was personal travel). I just do NOT recommend Marriott based solely on poor customer service regarding customer satisfaction. Awful, Marriott...simply awful service. The Springhill suites in Athens, GA did not provide room cleaning after our first night there, and there was a clear plastic bag full of exposed garbage across from the ice machine for two nights on the fifth floor. Not up to standards at all! 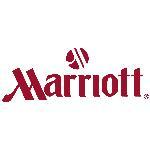 Please take a note that you are about to post a public review about Marriott corporate office on CorporateOffice.com. This review will be public, so please do not post any of your personal information on this website. If you would like to contact the corporate offices of Marriott, please use their contact information such as their phone number, website, and address listed above to contact them. However, sometimes staff from Marriott headquarters do read the reviews on this website.